With the launch of Oracle 12c the above constraint has been addressed with the feature called Oracle Flex ASM which primarily has a feature to fail over to another node in the cluster. 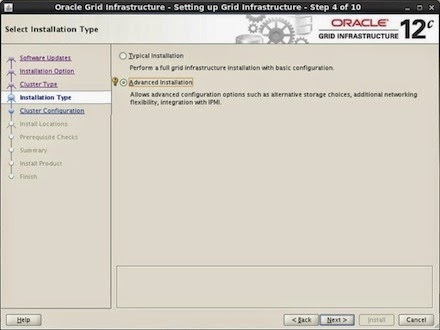 Essentially a Hub and Leaf architecture, the connection of a failed node is seamlessly transferred to another participating node by way of a replacement ASM instance by Oracle Clusterware. The number of ASM instances running in a given cluster is called ASM cardinality with a default value of 3. However the cardinality value can be amended using the Clusterware command. 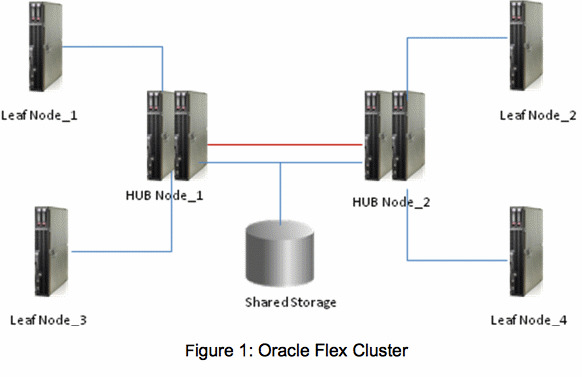 Figure 1: Depicts a typical Oracle flex cluster with four Leaf nodes and two Hub nodes. 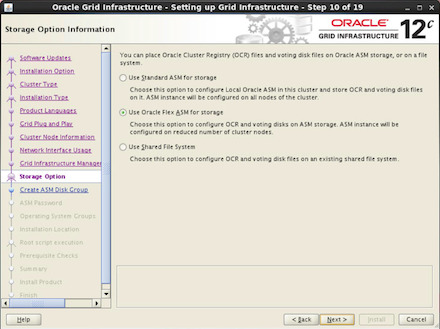 In a nutshell Oracle Flex Cluster requires Oracle Flex ASM. Note: Here a database instance is associated with the specific ASM instance running in the specific node. If in case due to some reason if the ASM instance was unable to be brought up/services goes down, still the database instance can be brought up as the database instance will look for ASM instance running in the same cluster. Figure 3 depicts the high available feature of Flex ASM. Summary: The database instance was using a dedicated ASM instance and that ASM instance was forced to stop working simulating a failure, so the database instance reconnected to an existent ASM instance on another node, for this example node 2 (rac2). As mentioned in the introduction above for Oracle 12c, the association of ASM to database instance is specific in nature. This means that if an ASM instance was unable to be brought UP then associated database instance in that node/ASM cannot be brought UP thus making the database inaccessible. Summary: The database instance is strongly linked to the ASM instance. If an ASM instance fails so will the database instance on the same node. Oracle Flex ASM supports larger LUN sizes for Oracle Database 12c clients. Maximum number of Disk Groups supported is 511. Flexibility to rename an ASM Disk in a Disk Group. Below are screen shots from the Flex ASM Installer. Choose the option "Advanced Installation"